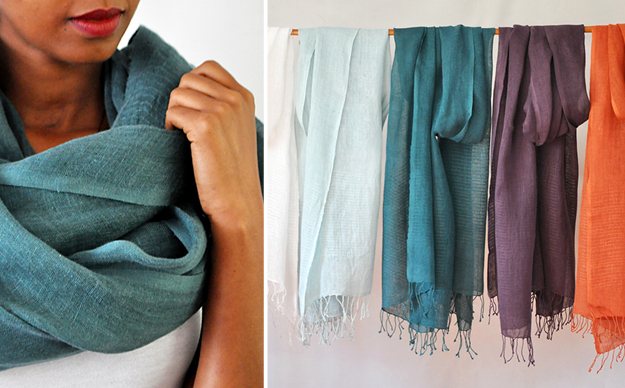 Our lovely 100% linen Telba design is now available in a scarf size. Beautiful colors. Hand wash.